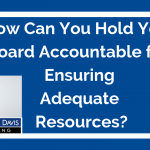 How Can You Hold Your Board Accountable for Ensuring Adequate Resources? 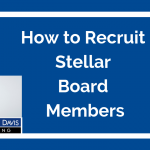 Discover how you can establish expectations in your nonprofit board that they will help to provide adequate revenue for the organization. Learn why peer to peer accountability works best. Last year, I launched a new series, Added Value Video. It’s been a labor of love and an education. 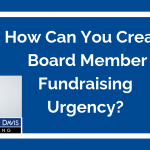 What is the Board’s Role in Fundraising? Thank you for learning along with me. 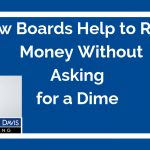 For more value in 2019, please continue to send your questions about nonprofit revenue and boards. 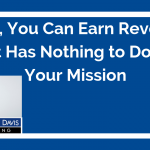 Running a nonprofit is different. 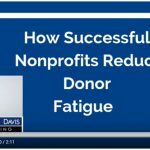 You need to raise donated money and work with volunteers, often with very restricted resources. 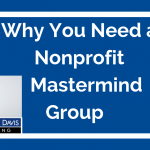 This video shares three of many benefits you’ll receive by participation in a mastermind group. 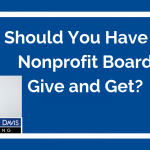 Should You Have a Nonprofit Board Give and Get?